Happy new year, everyone! As we approach the 12th day of Christmas where the deccies come down and we prepare for Christmas 2014 (...think I'm joking? 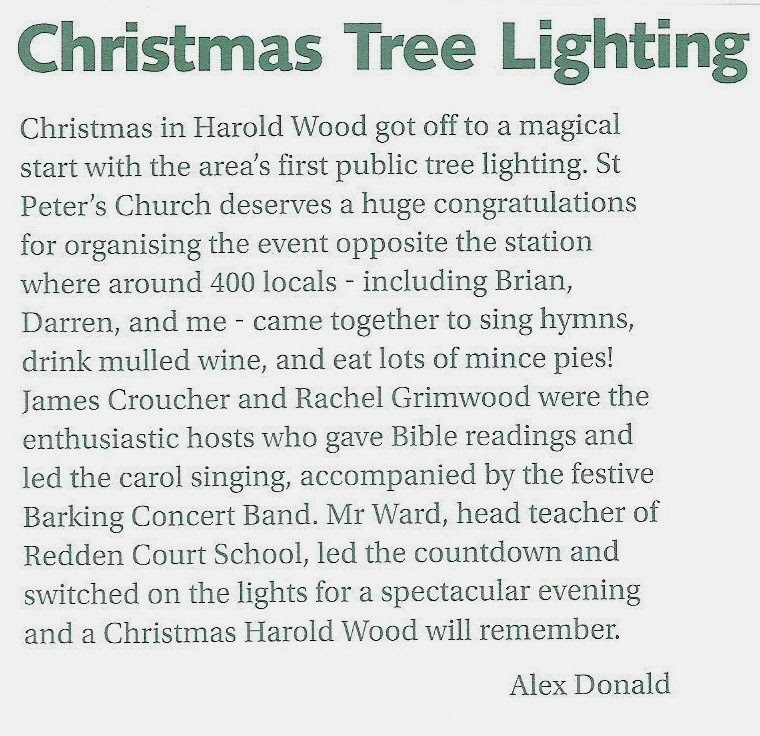 ), here's a look back at Harold Wood's very first Christmas tree lighting. Here is the video I captured of the official countdown, and below is my article first published in this month's edition of The Bulletin.